To get to Anita Bauer’s house, you turn off the highway in Pilar, New Mexico, follow the freshly tarred road that hugs the Rio Grande, take the long, spaghetti-thin, one-car-at-a-time bridge that spans the rushing river, then follow a scrubby, deeply rutted dirt road to the very end, hoping that that brushing sound beneath your little car is somehow a good thing, like brushing teeth. When Anita found this old adobe by the river surrounded by scraggy mountains about thirty-seven years ago, she tells me, the place had been abandoned. It had no electricity, no running water, and no plumbing. She spent that first winter in one of its rooms, with a cook stove that was also a wood stove. “Then, in the spring, I started fixing it up,” she says, smiling. She has lived here, happily, ever since. 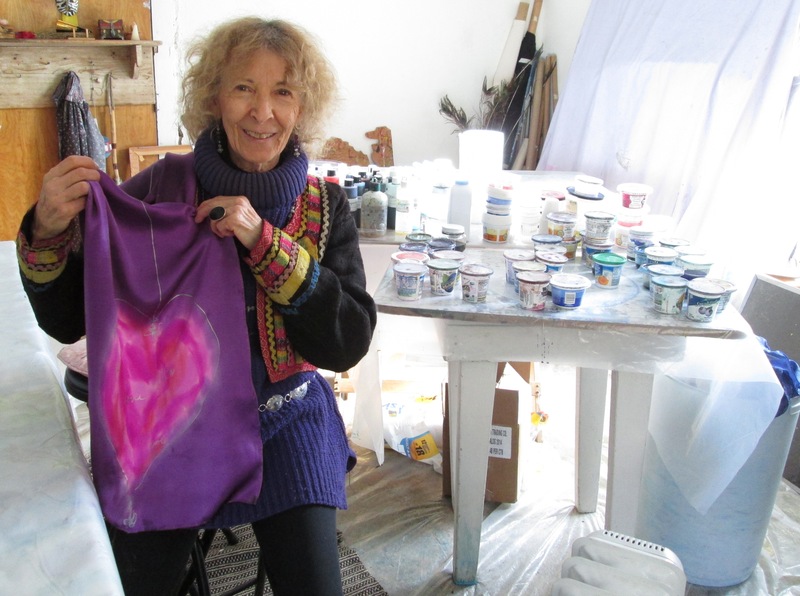 This New Year’s Eve Anita, who labels herself a healer and an artist, will turn 76 years old. It’s clear as we sit and talk in her cozy living room on a bright New Mexico autumn afternoon that her positive, can-do approach to life hasn’t abated in all these years. On the subject of age, she tells me she doesn’t feel old at all, and I ask why. 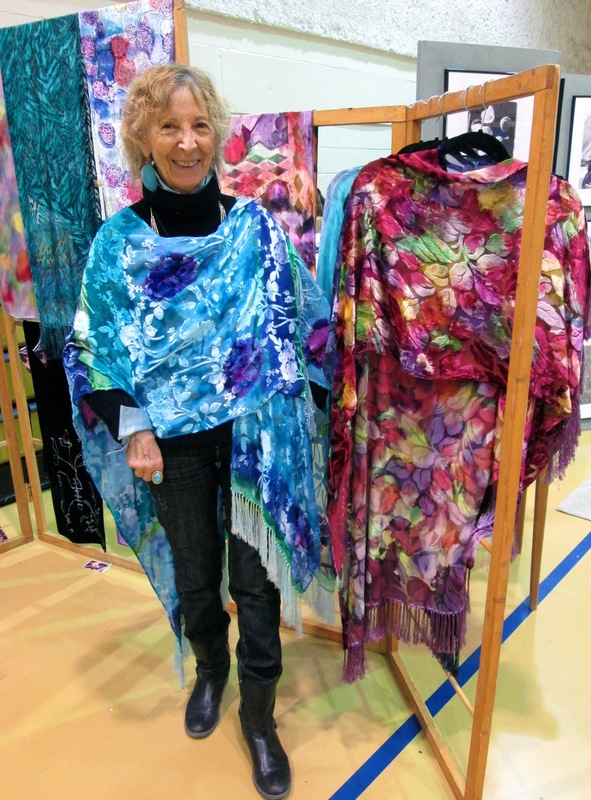 From May to December each year she focuses on her silk painting and the many shows where she displays and sells her work. This year, in early November, I visited her booth at the Dixon Studio Tour. I love her attitude. Stay in bed till you feel happy enough to rise. Don’t think of life in terms of time but rather energy. And feel safe when alone and remote. Thanks, Bonnie. Yes, her attitude is truly inspiring! I gained so much from her perspective. I love this article! I love her outlook on life and aging and being alone. I so wish I could be like her!! Wonderful, Bonnie. Anita is certainly an inspiration for all of us, Pam. What a lovely soul. Cheers to her clear patience on life and the steady flow of energy she obviously has learned to tap into.